What’s so special about Upcycled Shirt Dresses? 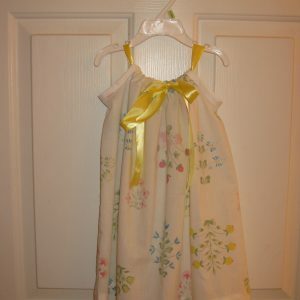 – They are made out of upcycled dress shirts in a pillowcase dress, tank dress, or peasant dress style. – Want to make one out of one of your husband’s old shirts? These are perfect as memory dresses to reuse that old favorite! 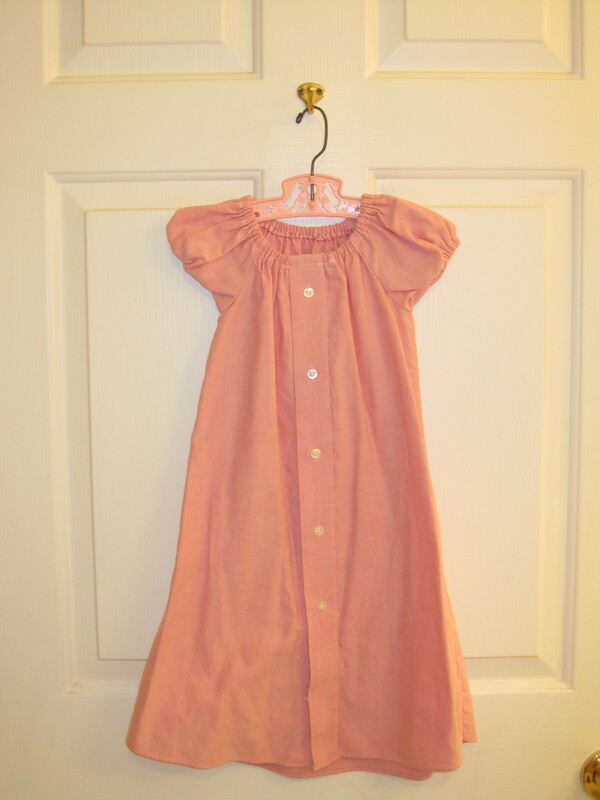 – Buttons can be placed on the front or the back of the dress. – If you want extras for your bow (like ribbon or a fabric covered button), please make sure to select those above. These are made from upcycled dress shirts. If you have special appliques added to your dress, I suggest washing inside out to help protect the applique. 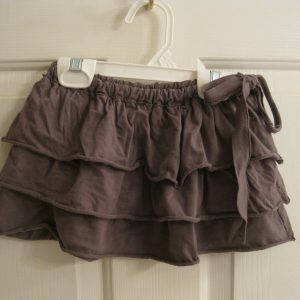 These can be machine washed and tumble dried. Ironing is usually needed depending on the exact fiber content of your dress. 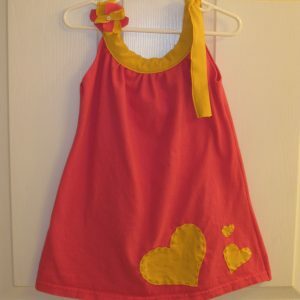 I can make these dresses in any size from NB to about size 5 (even larger if you want to use it as a tunic with leggings). These generally are mid-calf length unless otherwise stated. Custom measurements can be requested with your special order.